Travel to any Southeast Asian nation and it’s almost impossible not to find any connection to the Philippines. This can be as simple as a childhood memory you share with a stranger, a common story in our history books, a similarity in the flavors of our dishes and even cuisines, or related customs and traditions. Even a natural calamity like a typhoon is, unfortunately, a reason to connect—who can forget the recent flooding in Cambodia, as destructive as the ones we have in the Philippines? This commonality is brought to life in an ongoing group exhibit called Ties of History: Art in Southeast Asia, which brings together 10 different artists, each representing a member state of the Association of Southeast Asian Nations. Ties of History runs until October 6 at three major museums in Metro Manila: Metropolitan Museum of Manila along Roxas Boulevard, Vargas Museum at the University of the Philippines – Diliman, and Yuchengco Museum in Makati. Yes, it would take effort to check out all three, but the museum-hopping is worth it. In a series of untitled canvases, abstract painter Do Hoang Tuong plays with hues and dripping paints to evoke opposing emotions. 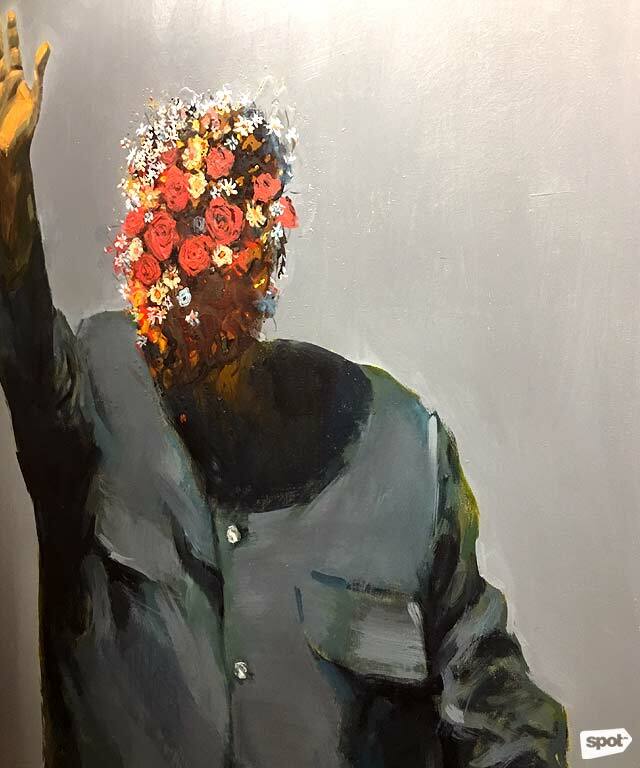 A brightly painted bouquet of flowers placed on the face of a dictator is equal parts haunting and thought-provoking.